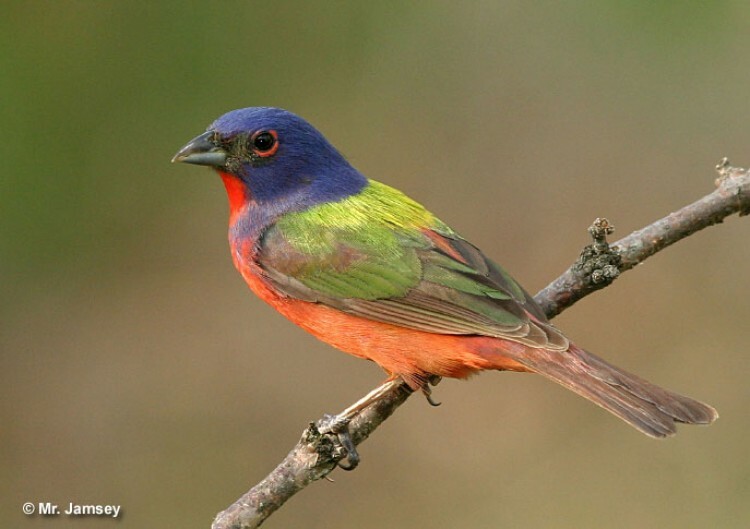 With one of the most colorful and distinctive plumages of any North American bird, the Painted Bunting is popular with birders, but many aspects of its biology need more study. 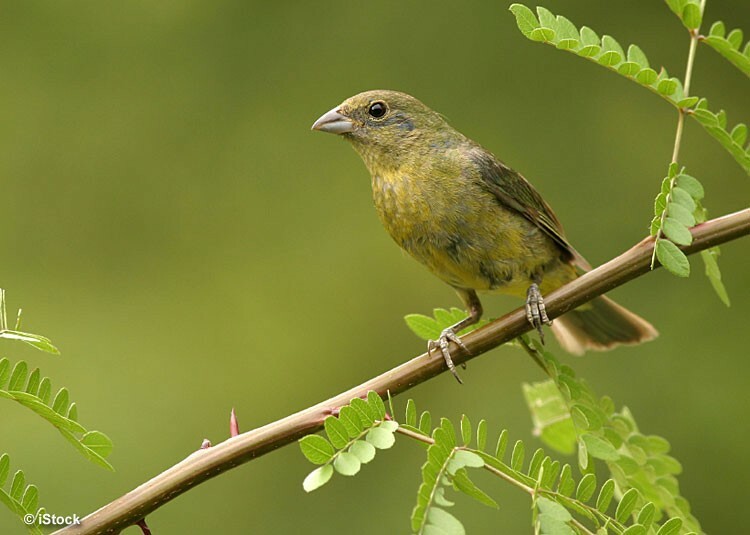 There are two populations of Painted Buntings with differing migration and molt patterns. One population occurs on the southeastern Atlantic Coast, and the other in the southern Great Plains east to Mississippi. Territory size in Painted Buntings appears to vary, depending on whether or not each male has nearby neighbors. Isolated males tend to have larger territories. Nest parasitism by Brown-headed Cowbirds is fairly common in Painted Buntings.